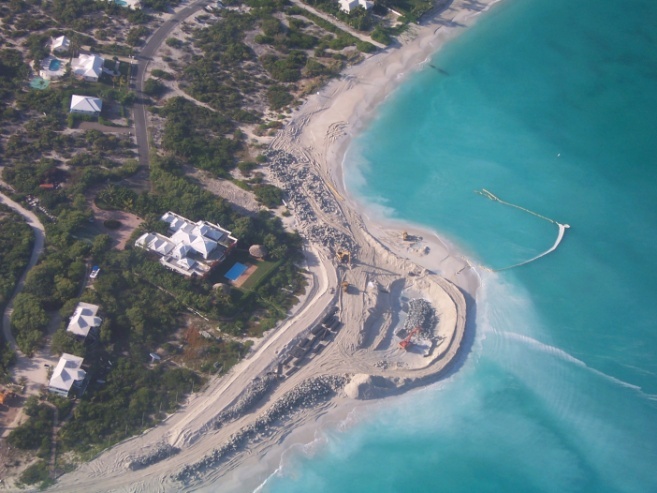 Summary: Erickson Consulting Engineers, Inc. (ECE) provided continuing coastal engineering services to restore the severely eroded shoreline surrounding Pelican Point, Providenciales, TCI. 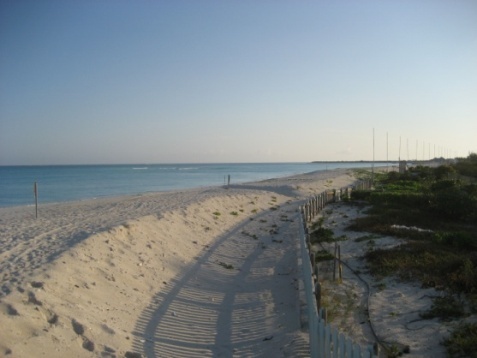 The final beach restoration plans and design for a 0.5-mile beach nourishment project were completed in 2006, and construction resulted in the placement of 68,000 CY of beachfill and one T-Head Groin which was completed in 2008. The project placed approximately 70,000 cubic yards of restorative beachfill along the severely eroded shoreline fronting Pelican Point’s historically rocky headland. 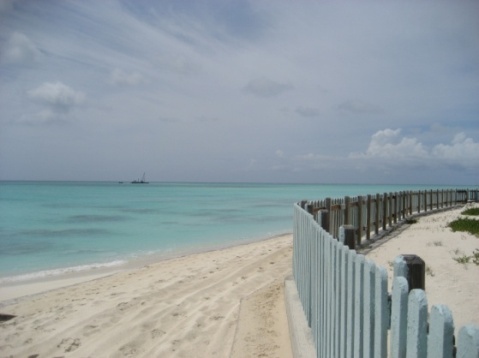 A tapered groin was constructed to provide reinforcement and stabilization of the beachfill, and increase the project life by reducing long shore losses from the beach. 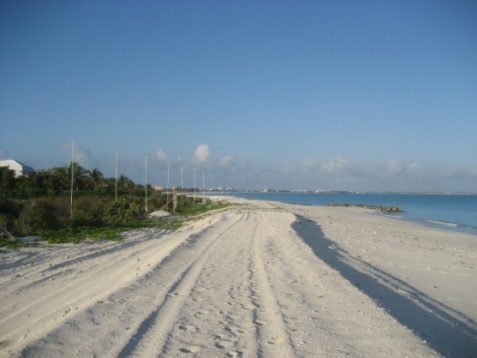 Challenges: At Pelican Point a rocky headland exists causing a divergence in the direction of sand movement or a “nodal point”. Strong longshore currents are created at the “Point” which tends to scour the shorelines immediately adjacent to Pelican Point. 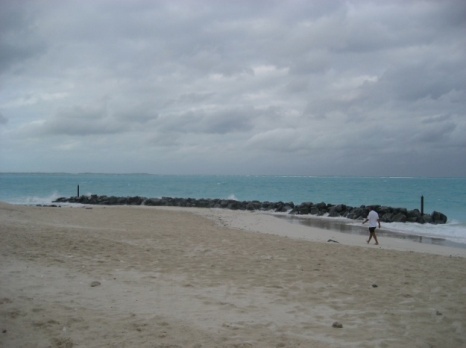 As a result, these adjacent beaches experience great erosion losses. 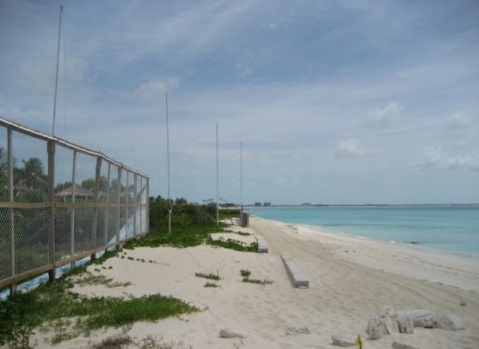 A solution (a semi-permeable T-head groin with sand placement) was designed to hold a sandy beach where no sandy beach ever historically existed.